1. Annual St. Patrick’s Day Parade and Festival. ‘Tis the luck of the Irish for San Diego when the 31st Annual St. Patrick’s Day Parade kicks off in Balboa Park on Saturday, March 12, 2011. The parade theme is “Irish Culture.” An Irish festival with traditional dancers, music, a beer garden and Celtic village follows the parade. 2. San Diego IndieFest 7. This music festival held at a new location – NTC Promenade, Liberty Station in Point Loma will celebrate contemporary independent music and features more than 65 acts across six stages along with independent film and spoken word venues. 3. San Diego Latino Film Festival. The Film Festival runs from March 10-20 at the UltraStar Cinemas at Hazard Center in Mission Valley and will feature works by Latinos or about the Latino experience. In its 18th year, over 2,000 films/videos from across Latin America and the United States have been screened. 4. Flower Fields Ranunculus Tours. Every year from March until early May, the Flower Fields at Carlsbad Ranch blossom into a spectacular sea of brightly colored ranunculus flowers. Open daily from 9 a.m. to 6 p.m.
5. Groundswell. 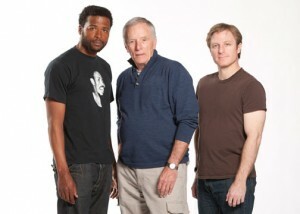 Opening March 12, 2011 at the Old Globe Theatre, Groundswell is set in a small lodge on the ferociously rocky coast of South Africa, two men plot to convince their lone guest to invest in their diamond mining scheme. The three men find themselves caught in a power struggle fueled by greed and desperation and will go to any length to secure a chance at a better life. This unforgettable thriller offers a provocative look at a society still haunted by its divided past. This entry was posted in Arts & Culture, Attractions, Insider Tips, Outdoor Adventures, San Diego Events and tagged balboa park, Carlsbad, festival, film, flower, indiefest, latino film festival, mission valley and old town, music, north county, old globe, parade, Point Loma, st. patrick's day, theatre by Suzzanne. Bookmark the permalink. Check out this new and hip WINE Company! Vineagogo!